Industry leader, ReServe Interactive has been providing hospitality management software solutions for over 20 years. The web-based platform, ReServe Cloud, offers a suite of integrated modules, which include Group Sales, Catering & Event Management, and Dining Reservations & Table Management. ReServe Cloud is the chosen solution by thousands of customers in over 14 markets, and will now include the cruise line industry. Making its maiden voyage at Seatrade Cruise Global, ReServe Interactive is introducing a ship-to-shore software solution for the cruise industry. 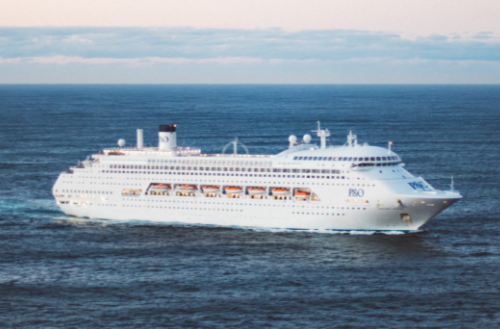 Capitalizing on its success in the hotel industry, ReServe Cloud is a viable option for cruise ships because, in essence, they are floating hotels with similar needs for group events and reservations. ReServe Interactive is the ONLY software provider to offer a fully integrated solution for selling and executing events, booking stateroom blocks, and managing dining reservations. This means no more duplicate entry in multiple systems, or double booking of assets that are shared by the sales and operations teams. ReServe Cloud replaces several disparate systems with one integrated solution. This is true whether managing one ship or an entire fleet. Individual users can be granted access to a single ship, or the fleet with one log-on; yet, accessibility can be controlled per user, depending on security settings. Reporting can be filtered by ship, yet rolled up for comparison, providing a high-level overview of the entire organization. Sales teams can check availability of function space and cabins, and also book across multiple ships with ease. Brand-protected collateral, menus, email templates, BEOs, contracts, and other documents can be standardized at the enterprise level or by ship. The cruise line industry has few options for hospitality management software as robust as ReServe Cloud. To learn more about how ReServe Interactive can improve your processes and deliver top and bottom line results for any organization, click here.